Pink is a great colour to lighten up your business outfit. This style is crafted from our fine twill fabric and is woven with micro hounds tooth pattern that is easy to match with any outfit. 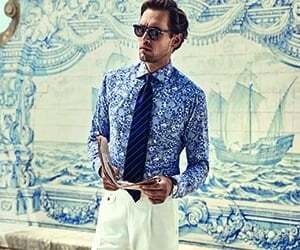 Smart and timeless details make this shirt perfect to wear under a classic navy or charcoal grey suit for a vibrant business attire.